Home / Articles / Spring Has Sprung – Let’s Fundraise! Spring Has Sprung – Let’s Fundraise! Easter is a holiday enjoyed by people of all ages. Why not usher in spring with an Easter fundraiser that will get the whole family, church, or community involved? Some fun options include planting tulip bulbs, spring cleaning with a garage sale, an egg hunt, or egg painting. Set the tone with some spring-themed music as the children decorate their eggs. When they finish decorating, let them put their eggs on display for judging. Hand out Easter-themed prizes for the most decorative eggs. The way to make money with an egg painting fundraiser is to charge a flat fee per egg, $1 or $2 at most. If you are really strapped for funds, you can even ask decorators to bring their own eggs and simply supply the decorating supplies. This is a good way to use up any leftover, undecorated eggs. Find a hill and set up an egg race. Each contestant stands at the top of the hill, and rolls their egg down. A prize is awarded for the egg that rolls the farthest in the shortest amount of time. Each contestant pays a minimum donation to enter the race. Again, each racing contestant pays a flat fee to enter this race that has them running from one end of a field to the other with an egg balanced on a spoon. The goal is to reach the finish line without dropping or injuring the egg. For even more excitement, this event can be made into a relay race for teams. This hunt takes a bit of preparation, as you must hide chocolate eggs around your neighborhood for contestants to find. The great thing about this event is that the prize is built in—each contestant gets to keep, and eat, the chocolate booty they find. Everyone pays a small entry fee to participate in the hunt. You can hide a very special prize—a stuffed Easter bunny, a golden egg, or a decorative egg—as a grand prize. 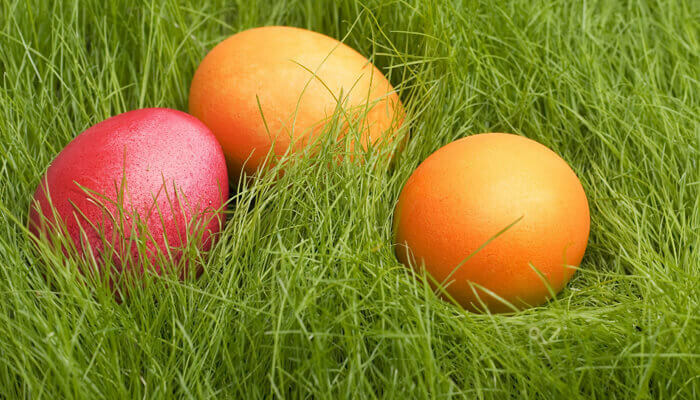 If you are planning an egg hunt for children of all ages, be sure to hide the eggs in places easily accessible to smaller children as well. In fact, it might even be wise to divide your course by age group, making an easier portion for younger children, and a more challenging route for tweens. What is Easter without an appearance from the bunny himself? Rent an Easter Bunny costume from a local costume shop and host a tea, breakfast, or lunch for kids. This is a fantastic idea for local schools, Sunday school classes, and hospitals in exchange for donations. How surprised will they be when the Easter Bunny shows up with his bag of sweets to meet the children? Better yet, incorporate a sweet pancake breakfast into the day as a great way to raise funds at a very low cost. Charge a flat fee for three pancakes and a meet and great with the bunny. Why should Santas get all the photo glory? Set up a spot at a local mall, school, or church to have pictures taken with the Easter Bunny. The spot should be decorated in a spring and bunny theme. Invite children to have their photo taken with the Easter Bunny in exchange for donations. Sure, the bunny, the chocolate, and the egg decorating are fun, but don’t forget about the true meaning of the Easter holiday. Get the word out by selling candles that have inspirational messages printed on their labels. Donors can fill their homes with wonderful scents while filling their hearts with messages of peace and hope. What better way to spread the word than by wearing it? Help people share their faith by selling T-shirts printed with inspirational messages and bible verses. Some are serious, some are clever and funny, but they all serve the same purpose—to remind everyone about the origins of the holiday.